The Neuroscience Major and Minor offer the chance to work on cutting edge research projects with Ohio State faculty. As an undergraduate researcher, you can participate in each phase of standard research activity: developing research plans with a professor, conducting research, analyzing data, and even presenting research results in oral and written form. You can participate in neuroscience research during the academic year, as well as over the summer, and research can be done in any neuroscience-related lab that is willing and able to take on an undergraduate. Research projects can be as short as one term, or can continue for a year or more. Undergraduate researchers gain important hands-on experience that applies directly to careers after graduation and as graduate and professional students. Note: It is expected that students looking for research have completed Psych 3313 and Neuro 3000 with a 'B' or higher. Students may sign up for varying amounts of course credit for their research. 3 hours of research credit can be applied to the Neuroscience Major Breadth Requirements or toward an elective on the Neuroscience Minor. The course number for research is 4998. Amount of credit and scheduled times are negotiated with the faculty supervising the project. Neuroscience 4998 is graded satisfactory/unsatisfactory. For each credit hour of 4998 you must commit to 3-6 hours per week in the lab. Download our information sheet [pdf] for more details. Apply what you have learned in the classroom to real-world problems. Submit a course enrollment form [pdf] signed by your faculty supervisor and turn it in to your Arts & Sciences Advisor or Honors Advisor. The unpublished 4998 course number can be obtained from a neuroscience advisor or your research supervisor. If you would like your research to count toward the Neuroscience Major or Minor, you must submit an application describing your project and its relevance to neuroscience. 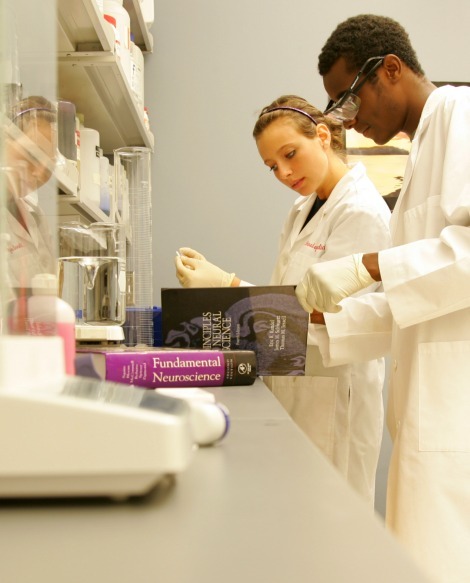 There are separate application forms for research credit with an OSU PI and a non-OSU PI. Research Pre-Approval Form for Non-OSU Faculty. Students seeking to enroll in Neurosc 4998 must submit this application by the Friday BEFORE the first week of the semester that you will be conducting the research experience. No retroactive credit can be given. For information on how to find research opportunities and things to consider while you're searching, refer to our page on finding opportunities.